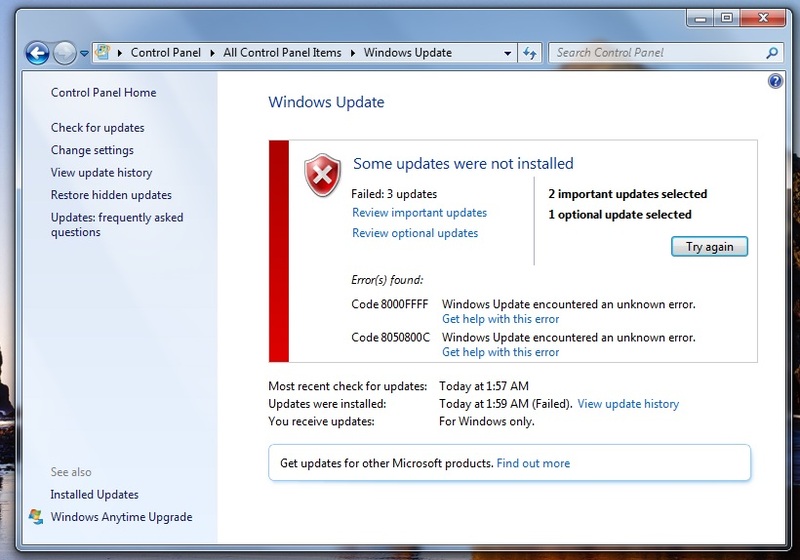 I get these errors every time I try to install the latest Windows 7 updates. Google hasn't revealed much info to how to cure the issue, I've done everything I know how to do to solve it. Any ideas? I'm trying to install updates KB915597, KB4486563 and KB4486565. When I had that problem I downloaded each update separately from Microsoft and installed them one at a time.